After destroying the first moving vehicle, Bond and Natalya are taken to... hard to say what it's supposed to be. An ominous prison. 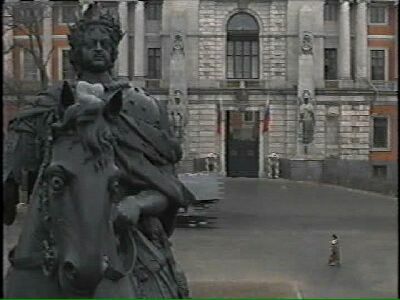 In reality, St. Michael Castle was constructed as a residence for the son of Catherine the Great, Paul I, whose patron saint was archangel Michael. The emperor only enjoyed his new house for a few months and then was killed by his loving minions. The castle reflects the military style so dear to the heart of his owner - its walls are so thick, there are rooms in them, even though there was absolutely no need to build a fortress in the heart of the city. 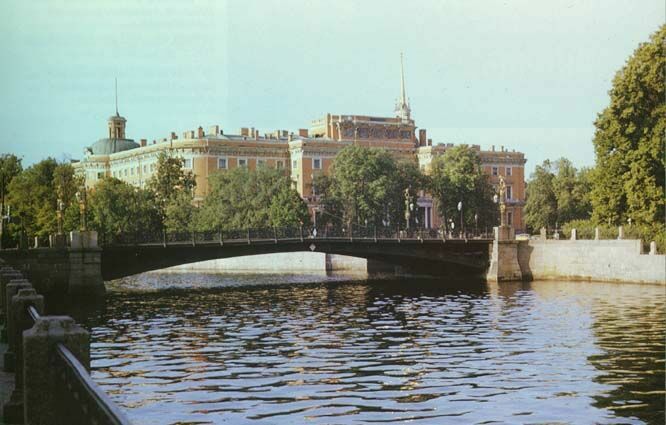 Soon after Paul's death the castle was given over to Chief Engineering College, hence its second name - Engineers' Castle. Its pupils later included Dostoyevsky. There is an archive, library, and some offices there now. 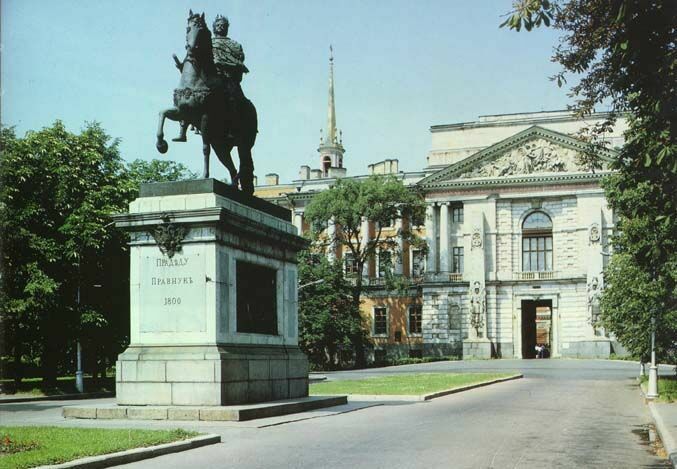 In front of the castle there is an equestrian statue of Peter the Great. The inscription says, "For grandfather - grandson."